Brand New Farm King Y960Q, 96" Snowblower. * Suitable for all 90 to 125HP Tractors with Category 2 Hitches & 540 RPM PTO's. 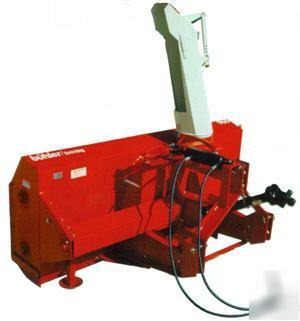 * Plus, this Y960Q is Quick Hitch Compatible! * Hydraulic Chute Control is Standard!!! * Cutting Width is a full 96" and the Height is a full 36". * 3 Blade Fan Diameter is 34". 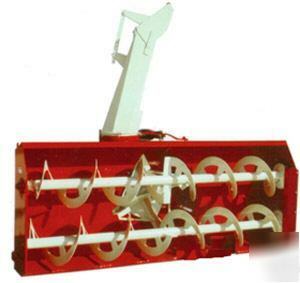 * Double 15" Augers are run with a #60 Chain. * Weight is approx 1243lb's.